What Are the Dangers of Low Blood Pressure? Blood pressure is the force that blood exerts on the walls of arteries. There are two numbers associated with blood pressure. The first number is the systolic pressure, which is the pressure as the heart is pumping the blood. The second number is the diastolic pressure, which is the pressure when the heart is between beats. Normal blood pressure is that which has a systolic reading of 120 millimeters of mercury (120 mm Hg) or lower. The normal diastolic reading is 80 mm Hg or lower. The two numbers are typically represented as 120/80 mm Hg. Low blood pressure, also called hypotension, is the condition when blood pressure falls below 90/60 mm Hg. Although some people have low blood pressure all of the time and have no problems, hypotension carries risks and could be an indication of a more serious condition. Low blood pressure can cause dizziness, blurred vision and confusion. These are dangerous conditions when focus is needed for the sake of safety, such as while driving a motor vehicle. These symptoms of low blood pressure can cause loss of concentration while driving and result in loss of control of the vehicle. The onset of dizziness can occur quickly, especially when standing suddenly. The resulting dizziness could result in a fall that could injure you. Also, fainting is a danger of low blood pressure. Fainting can result in serious bodily harm, resulting from a fall when going unconscious. Shock occurs when there is not enough blood reaching major organs, including the brain. The early signs of shock are lightheadedness, confusion and sleepiness. As the condition progresses, it will be difficult to sit up and not pass out. Shock can be fatal and should be treated immediately. 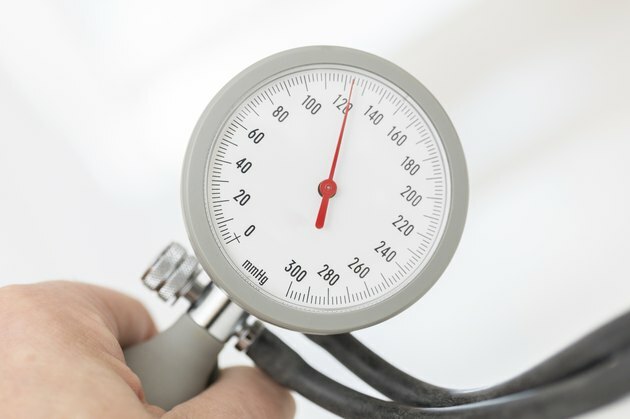 Low blood pressure could be an indicator of a more serious problem. Problems that result in low blood pressure include blood loss, severe infection, severe dehydration, heart problems such as heart attack, heart failure and faulty heart valves, severe allergic reaction, and endocrine problems such as overactive or underactive thyroid, Addison's disease, low blood sugar and diabetes. What Causes Low Blood Pressure in Children?